I was looking for some white shoes ready for my summer holiday later in the year. Previously I had found some very comfortable 'walk easy' shoes which I felt would be ideal for a holiday in Rome involving a lot of walking. Since I do not like or wear trainers, I wanted some reasonably attractive shoes in a summer colour to go with my dresses. I understand Rome has a lot of cobbles so heels would not be suitable. 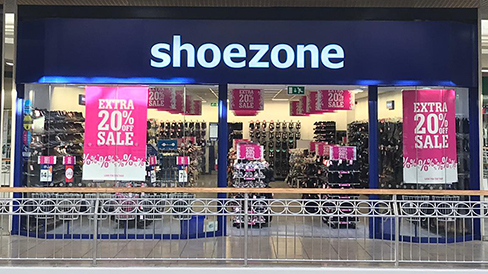 I asked the assistant if Shoezone still sold 'Walk easy' shoes. She explained that an alternative supplier manufactured similar shoes and suggested a couple for me to try. One pair were very similar and comfortable to the previous range. I bought a pair of Safety Footwear shoes Style 50140 and was charged £24.99 and was surprised when i got home to find the price tag saying MRRP £30.00 You pay only £19.99 can you explain the extra £5.00 charge please ??. I am not impressed with this as these shoes are also on your site for the £24.99 price. Looking forward to your explanation. The staff were very helpful otherwise. I will in future check all tickets on the shoes,as i shop regularly at your shop.